My sister described this feature on my blog as ‘the monthly update I do every couple of months’ but with each month becoming even more chaotic than the last it has become increasingly difficult to sit down and write! My last monthly update was written in Greece and since then I have travelled through five countries, taken seven flights and lost one purse. I have also had one broken computer, one missed flight and one night where I slept in a park (don’t worry, post to come). 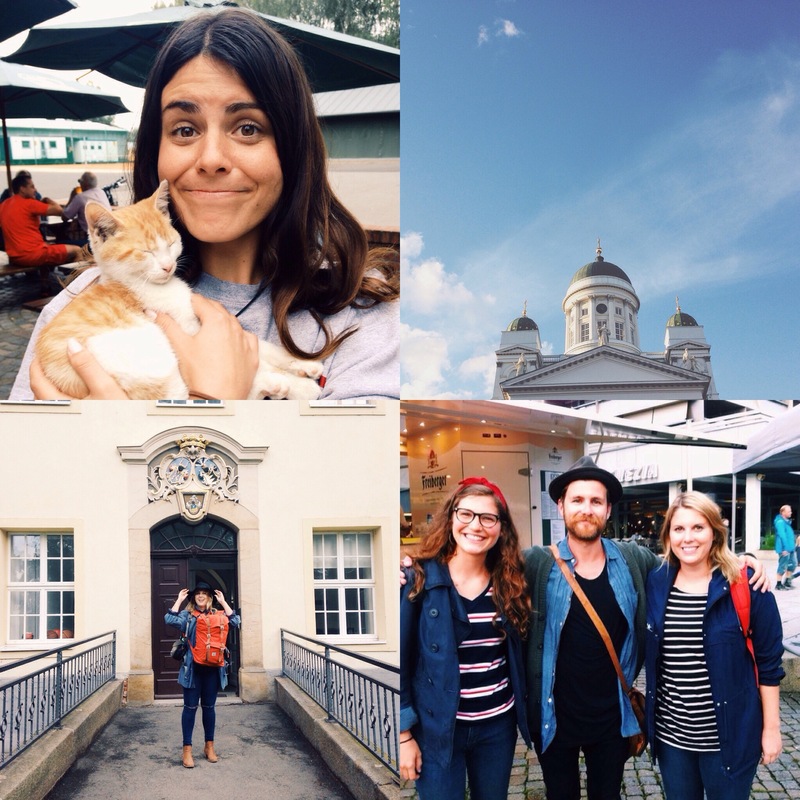 My time back in Germany was brief and bittersweet as I said goodbye to some amazing friends. After a quick day and night in Berlin, London greeted me into it’s cold and soggy embrace. I spent a whirlwind and undocumented couple of days in London as I ran around like a headless chicken trying to find a bridesmaid dress for my sisters wedding. After six hours of unfruitful despair shopping I received a message from a friend who let me know that my original dress (one that had been deemed lost forever in the post) had turned up. sigh. Whilst in London, I also found out that I had won The Travelettes competition to find a reporter to cover Bestival. It was very exciting and had me running around like a headless chicken once again but this time in search of some cute festival must-haves like wellingtons and flower crowns. From London, I flew to Finland and spent a blissful week with a beautiful Finnish friend who took the whole week off to show me her country. We spent two days at her summer house which turned into a firm highlight. After Finland, I went straight into the glorious madness that is Bestival on the Isle of Wight. If you are interested to read about that then the link is here. With one day of recuperation (or restival as I like to call it), I flew to the United States of America which is where I am currently. – Spending a week working with refugees in Athens was a definite highlight. I got to sit down and go over some english newspapers with a young Afghan girl who wanted to be a journalist. It was a nice little reminder of my core belief in the importance of educating and empowering women. – I met the coolest little guy called Elias. Despite being an afghan refugee separated from the majority of his family, his country and his friends, he was full of joy and had the best smile. What a wonderful reminder of the importance of being grateful. -Spending two days on the gorgeous island of Agistri. Th is little island had the best water visibility I have ever seen. 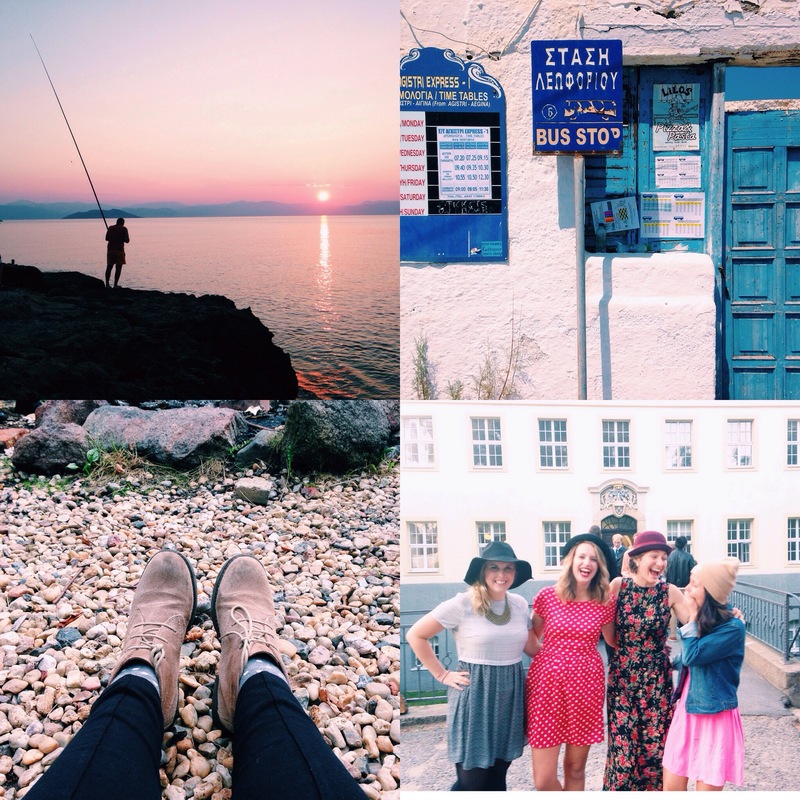 – After arriving back to Germany after swelteringly hot Greece, I had the best nights sleep of my life. The air was cool, the bed was soft and the only sound was the trickling stream outside my window. – This month also saw me graduating from the course I was attending in Germany. It was such a privilege to share my story at graduation and spend a precious last day with my beautiful friends. – My three days in a Finnish summer house with my friend Milka was definitely a highlight of the last month. -A night in Dresden, Germany saw me meet one of my favourite musicians, sleep in a train station and hang out with some amazing people. – I managed to miss out one of my favourite things about Finland in my post about Helsinki and that was my discovery of Tove Johansson. I had never heard of this Finnish artist/illustrator until reading an article in the British airways inflight magazine. I was hooked. A powerful figure of feminism, creativity and eccentricity, she was quick to become a new inspiration. Her artwork was beautiful but it was her illustrations (in particular her Moomin characters) that captivated me. 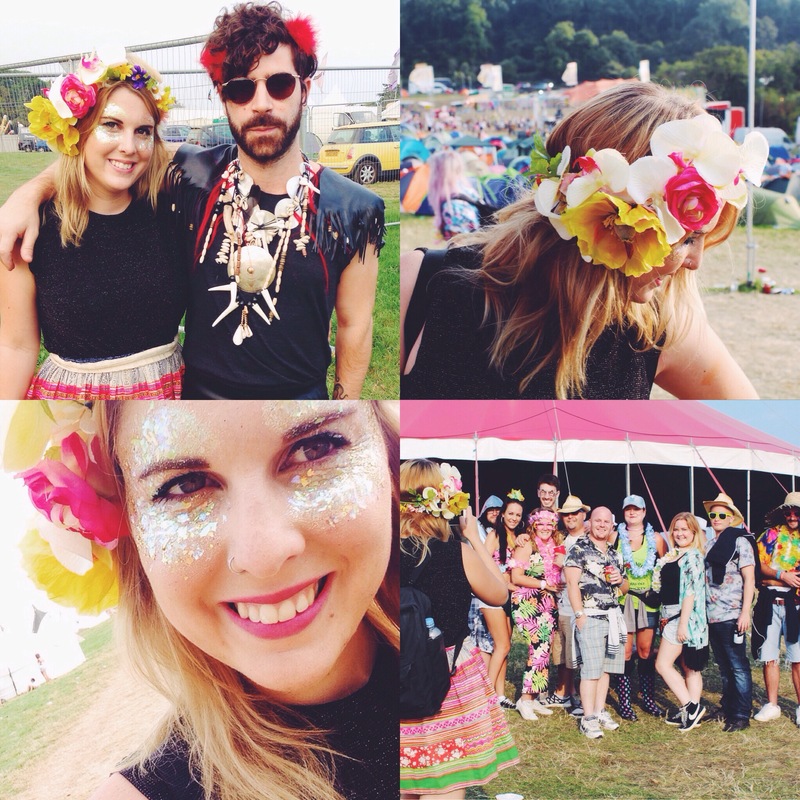 – I was lucky enough to win a press spot writing for the Travelettes at Bestival on the Isle of Wight. I saw some of my favourite bands, schmoozed with some journalists and fell more in love with a career in media. You can read the article here. -Getting my first ever Canon SLR. I AM IN LOVE. 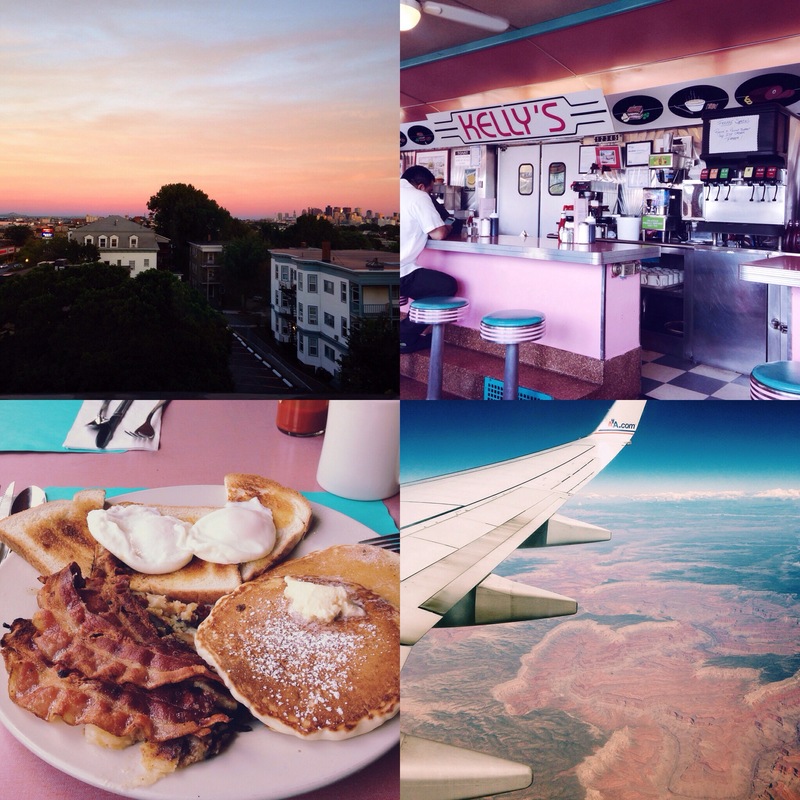 – I spent a lovely couple of days in Boston and even crossed eating breakfast in a diner off my bucket list. I also ate the most delicious Boston cream pie that my lovely hosts bought for me. – Flying to L.A over the Grand Canyon with the knowledge that my parents would be waiting for me at the other end. – I missed meeting up with Alex from Alex in Wanderland in Athens. It would have been great to meet her in real life after having read her blog for the past three years. 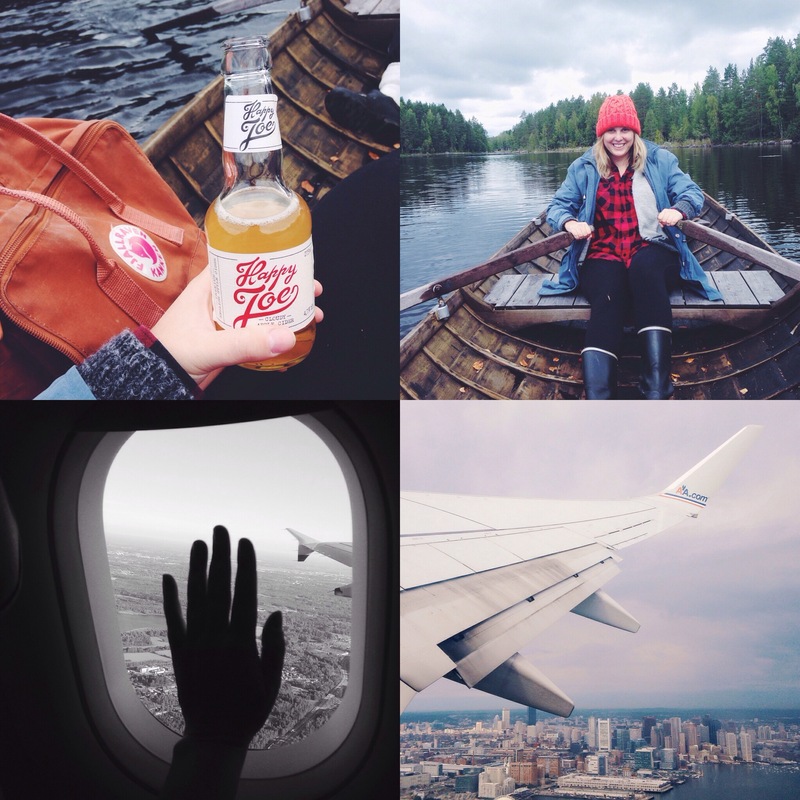 – So MANY travel disasters this last month. Hopping countries was chaotic, stressful and sometimes a little bit weepy. I barely managed to keep it together after loosing my purse in London, missing a flight in Helsinki and my computer breaking in Boston. Let me just say that a lot of Gin and Tonics were consumed. – My hair has been a nightmare. I haven’t had the money to get my brown roots done( not a natural blonde) so I tried to blend a little brown dye in there and it turned a bright green. I decided to scape some money together to go to a salon and they turned my hair a bright orange at the roots. So then I had orange roots and green ends. It was a hot look. Then I decided to go back to a salon and get an ombre which resulted in this crazy brown/blonde mess. Oh dear. -The horrible tragedy that happened in Koh Tao last week. Having spent nearly two weeks there in January, I felt so sad for this little island community. 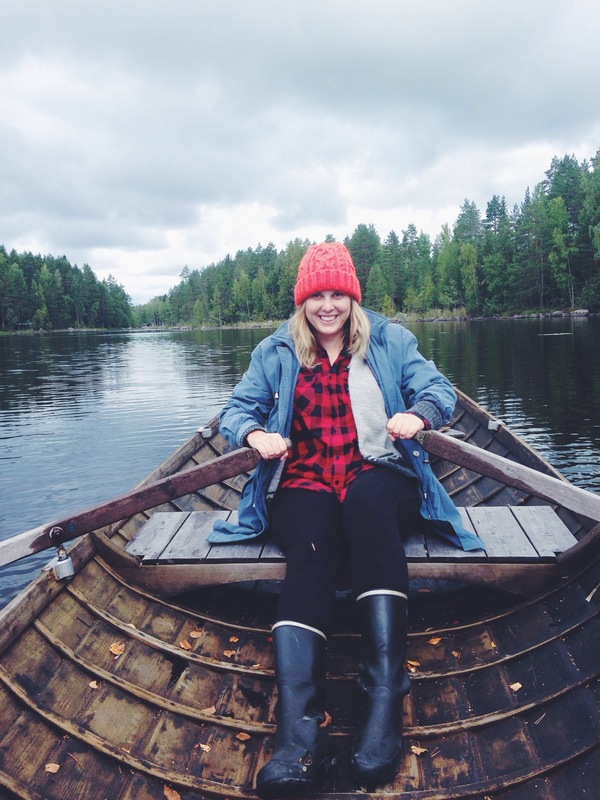 I feel so happy when I look at this picture of me in a rowboat in Finland! It was a glorious day. I wrote this article for Travelettes on this years Bestival. I love the Travelettes and read it religiously so it was such an immense pleasure to be able to write this piece for them. I will be camped out in Santa Barbara, California for the next 9 days with my family for my big sisters wedding! After that I will be going on a secret adventure with my other sister and then back to Australia to finish out the month. How has your month been? Done any crazy things? Had any travel disasters? I would love to hear about it. Leave me a comment or email me at dirtypawsblog@gmail.com. What are your parents doing in LA? Do they live in the US? Sorry to hear about so many misfortunes but it seems like you had a nice balance because you’re highs were very high! I would have loved to meet up with Alex too. and you looked so cute at bestival! congrats on winning , i loved the article you wrote! You fit in perfectly there.. you may not be a natural blonde but you’re a natural festival reporter!